Airline Trashed Golf Clubs, What! Indeed the nightmare scenario that has happened to my poor golf clubs, the Airline trashed Golf Clubs! Returning from a recent trip to the USA playing golf and working at a golf event. I opened my golf travel bag and I was shocked to see broken shafts and a cracked driver club head. The travel bag was damaged in two places and the stiff arm to extend into the bag was bent. The list of clubs damaged. Diver head and shaft both destroyed. The shaft on the three wood, utility club, putter, wedge and in fact, all the golf club shafts need to be replaced except the 2 iron. Indeed, the sad part is that this is the 2nd time that this has happened in the last two years. Last year I travelled to the same destination my driver was destroyed, and the 3 & 5 wood shafts were broken. Notably, I have travelled all over Europe, the USA and Canada with my clubs and I never had a problem. 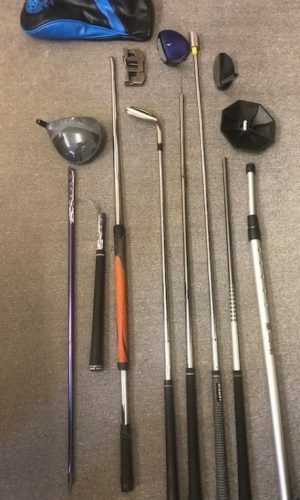 What to do when you find broken clubs? Nevertheless, should a golfer find the same problem with broken clubs? Initially, contact the airline’s customer service team and explain the situation. I would recommend taking pictures of all the broken clubs and post one picture on Twitter, but tag the airline and as many golf publications as possible. Tell your story and let Twitter take care of the rest. Also, list the damage clubs and the costs to repair or replace the clubs. Certainly, that information will be of use when making a claim. Since my discovery that day, I posted a picture on twitter and I asked how much do people think it would cost to fix all these clubs? Instantly, there was a reaction, a lot of tweets, retweets, and Twitter comments. Also, the airline was very quickly suggested to contact their customer service. Golf City picked up on the tweet and posted about a blog on the topic, click here to review. Additionally, Golf.com created a similar post, click here to read on. Did all that media impact or influenced the airline to compensate for the damages clubs? I do not know, but it was worth the effort to create that awareness for Concierge Golf. Regardless check that your golf clubs are insured for breakages and robbery. 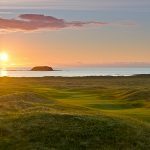 Certainly, broken clubs should be covered within your travel insurance policy, but review your travel insurance policy to ensure that you are up to date. 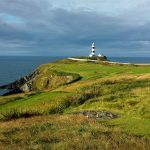 Albeit, golfers, could use Ship sticks and click here to ship your golf club to Ireland or Scotland. Use a hard case travel golf bag and pack a towel around the clubs heads. Screw off the heads and store the clubheads in your primary language. Use a towel around the club heads and shafts. Indeed, if you travel with a soft case or a club glove golf travel bag, please, use a strong arm or similar in the centre of the golf bag. Finally, the airline did indeed process the claim and I was compensated for the total cost to repair the clubs. 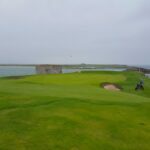 Other articles to read up on: Click here to view reviews on Irish Golf Courses. 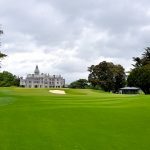 Another article to read up on: Click here to view information about golf courses in Cork.